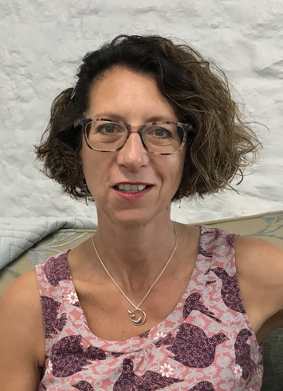 I have experience of working with many issues, so if you are unsure please feel free to call me for a quick no obligation chat, or take a look at my website on www.counselling-cornwall.org.uk. I still work in Birmingham B68 but this site only allows one address to display. My supervision practice is run both from Hayle, Cornwall and Birmingham. I believe that the purpose of Supervision is to protect the best interest of the client and that the best way to do this is to support the Supervisee. I believe that Supervision should provide a safe environment for the Supervisee where they can feel supported, listened to and understood. It is essential that the therapist feels able to discuss ‘mistakes’ and misattunements as well as triumphs and successes with the Supervisor. I aim to help Supervisees find their own way of working while helping them to develop and hold a safe ‘therapeutic frame’ that contains the client. I work with Supervisees to fit their practice to the context in which they are working whether this be Private Practice, Voluntary Organisations, the NHS or for private firms. I have experience of working as a Psychotherapist in all of these types of organisations. I understand how where you work affects how you practice. I work with Supervisees to create a safe and boundaried way of working as I believe that secure boundaries offer the possibility of free and creative work for client and therapist. I am interested and experienced in helping supervisees build and maintain a private Counselling or Psychotherapy practice and work to help them promote good business practice. I understand the pressures and constraints of both self employment and working for an employer.